Iggy's Bread of the World is located in Cambridge, MA. 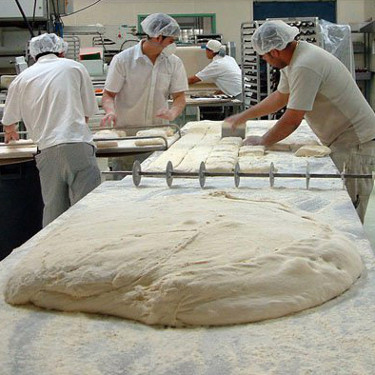 Iggy's makes old-fashioned, naturally leavened, hearth-baked breads from quality ingredients. They give the bread time to rise naturally: 9-16 hours. We now carry their Pain De Mie breads (which means “bread of crumb” in French), made from 100% organic flour, water, and sea salt! Baked in rectangular pans with lids and shaped like your classic “sandwich” bread, these breads have very little crust, but tons of moisture and deep flavor. We now offer their 3 types of Pain De Mie breads: white, whole wheat, and rye!